With the help of this module, the admin can import and export a bulk number of categories on the store. 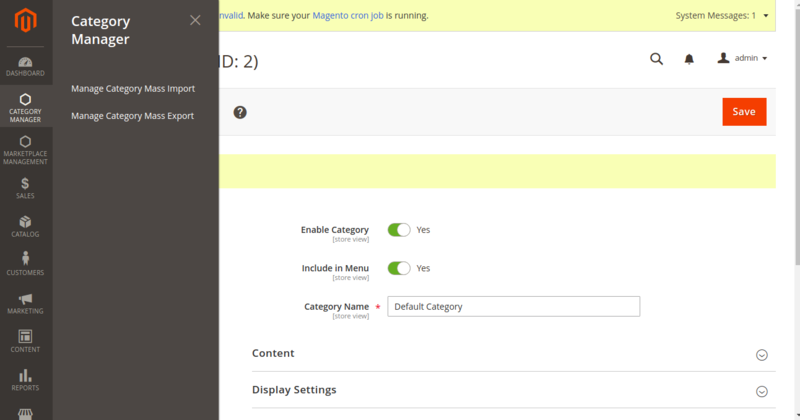 Using CSV, XLS, or XML files, bulk categories can be imported into the Magento store. Sample files are also available. 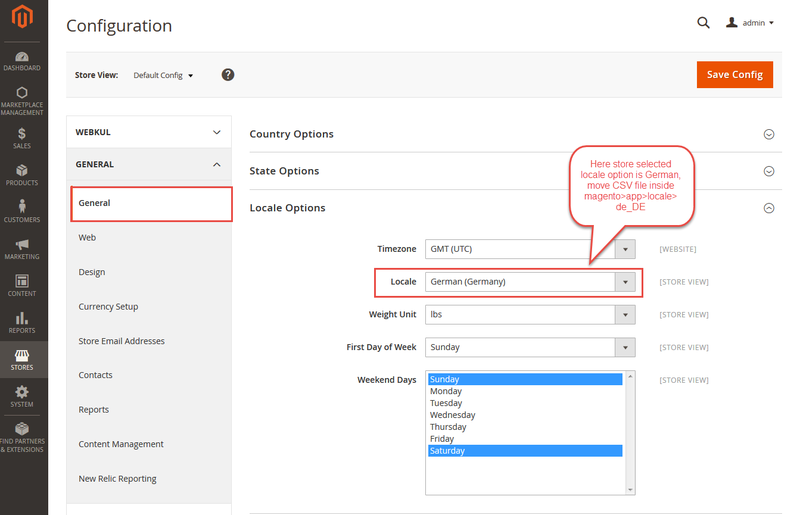 The admin can do one-click export categories in CSV format for various Magento stores. Ajax one by one category import feature. Category upload via CSV/XLS/XML files. The admin can make the changes in the exported category file. Customers will get a zip folder and they have to extract the contents of this zip folder on their system. The extracted folder has an src folder, inside the src folder you have the app folder. If you want to translate their module language from English to German then follow the path app/code/Webkul/CategoryMassUpload /i18n in their unzipped folder and then you will get a CSV file with name “en_US.csv”. Now, rename that CSV as to your region code and language code like – “de_DE.csv” and translate all right side content after the comma in your language. After editing the CSV, save it and then upload it to the path app/code/Webkul/CategoryMassUpload /i18n where you have installed Magento 2 on the server. The module will get translated into your desired Language. It also supports RTL and LTR languages. When the admin click on ” Manage Category Mass Import” then below page will be displayed. Here, admin can download the sample file (CSV/XLS/XML) to import the categories and can edit the sample file as per the requirement. The admin can import the categories with the images or without the images. Categories with Images – Upload the category file with images zip file and save it. The images zip file should contain images files mentioned in category upload file. Store Id – The admin can enter store id in which admin wants to import the categories. (Store id 0 for default store ). Is Active – The admin can set 1 to display category at the front end else 0. Include in Menu – The admin can set 1 to display category in the Menu bar at the front end else 0. Is Anchor – The admin can set 1 to make the category clickable in the Menu bar at the front end else 0. 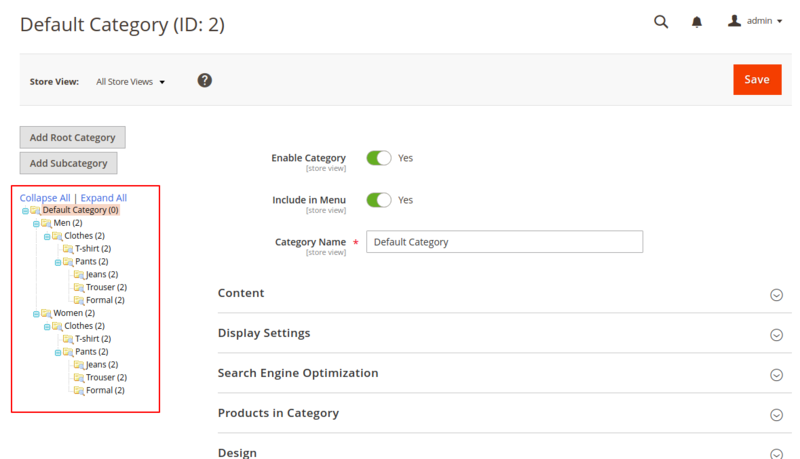 The admin can enter the meta title, meta keywords, and meta description. Images – Here, you need to enter the category image name which will be the same as in the image zip file if you are uploading the categories with images. Products – The admin can add products to the category by just entering the product Ids. 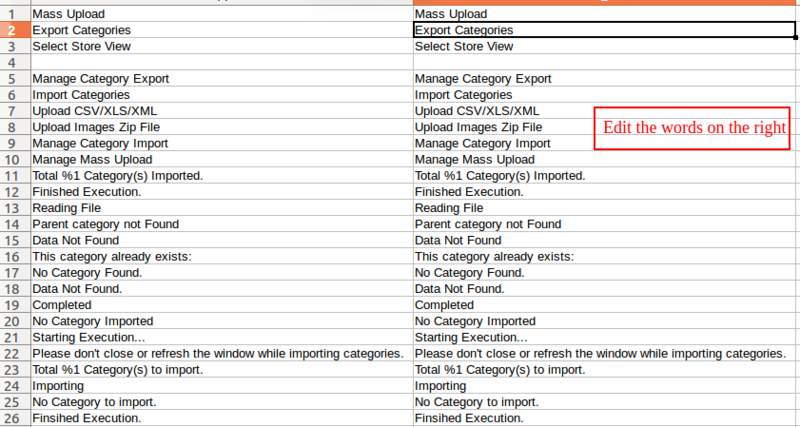 When the admin click on” Manage Category Mass Export” option then below page will be displayed. Here, the admin will get the Category id ( default category id is 2 ), Parent category id, Store name, Category name, Path of the category(parent category Id/child category Id), Category image name, Is active, Is anchor, Include in Menu, Meta title, Meta Keywords, Meta description, and product ids in the exported CSV file.